Hot Jewel Gem-Heart Pendant Scarf Only $7.99 Plus FREE Shipping! You are here: Home / Great Deals / Hot Jewel Gem-Heart Pendant Scarf Only $7.99 Plus FREE Shipping! A scarf is always the perfect accessory! 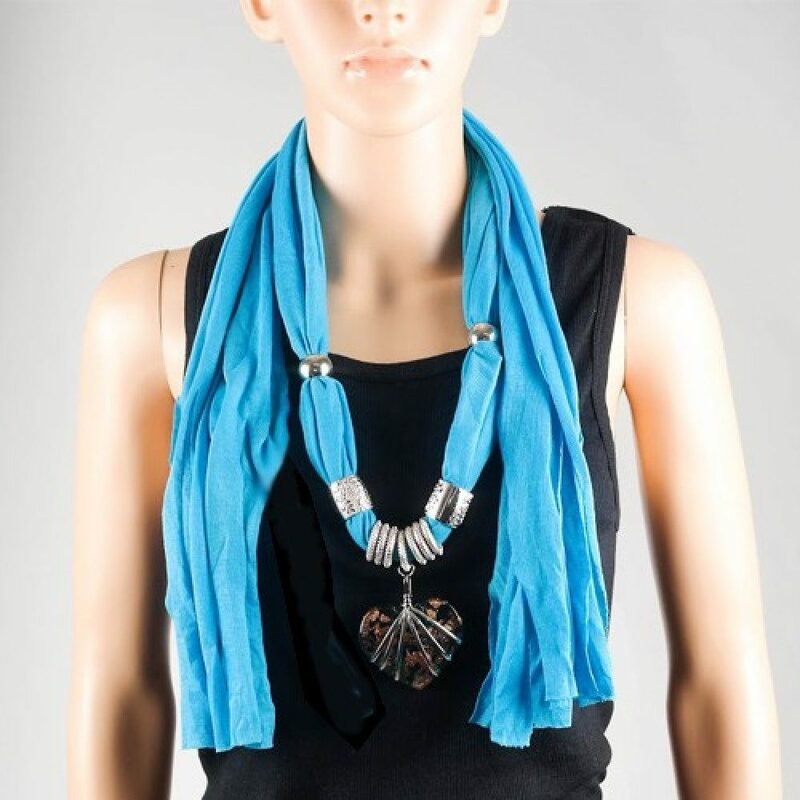 Each scarf has a gemmed heart pendant in the middle and features metal beaded accents throughout the rest of the scarf. The Hot Jewel Gem-Heart Pendant Scarf for Only $7.99 Plus FREE Shipping is available in 6 colors! There are also 3 additional styles, so look around for your favorite!